From orthopedists via the ophthalmologist, who also carries out eye and eyelid correction, to implantologists, you will find specialists in every field. We will be happy to organize your appointments for you. Our Sonnenhof therapists work hand in hand with the specialists. Should you wish they will exchange views, for example, in recommending further treatment with medical gymnastics, manual therapy or lymph drainage in our spa sector. Your specialist for all illnesses of the locomotor system, who works closely together with the specialist for osteoporosis, Prof. Dr. med. Rainer Bartl, München-Grohadern (LMU) and the endocrinologist, Dr. Andreas Weigel, Augsburg. Careful anamnesis and analysis of the often complicated symptoms of neurological illnesses, of disturbances in balance via chronic insomnia through to dementia illnesses and the early recognition of the symptoms. Here, you can find a wide therapeutic and diagnostic spectrum for reinstating your sense of wellbeing: examination with digital volume tomography (DVT) as well as in the outpatient sleep laboratory (your own hotel room), tinnitus and diagnosis of vertigo, diagnosis and treatment of allergies, hearing test, diagnosis and treatment of snoring, aesthetic medicine and inpatient operations. The surgery’s own experience of over 4,000 successfully completed implantations per year guarantees sustainable security and a maximum in aesthetics. The effectiveness of the particularly gentle self-developed surgical methods has been confirmed on numerous occasions by the University of Munich. 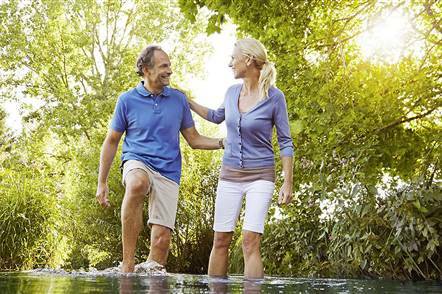 Personal cure advisory service and compilation of the most effective Kneipp applications. We will be pleased to supply further information regarding our Medical Spa offer. Simply phone us +49 8247 959 - 595.